You won’t find this design anywhere else! Our exclusive Gold Swirl Diamond earrings are available in 14k yellow, white or rose gold and are absolutely beautiful! 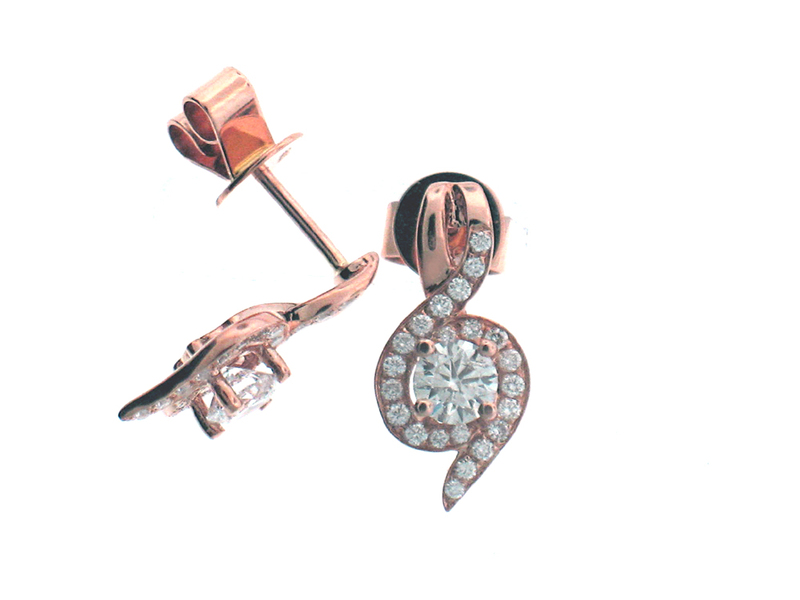 Each earring is a .25ct round Diamond, surrounded by .25ct of smaller full cut diamonds for a total weight of .75ct.